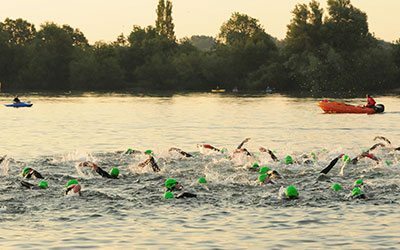 The swim is a single 1.9km lap in the well known Lake 32 based in the centre of the Ashton Keynes water park. 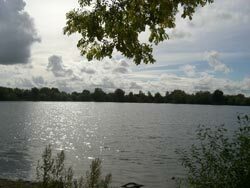 The lake can be swum most days of the week, for more infomation please see ukwatersports.co.uk. The bike section leaves the water park and heads out the area on a flat and fast course into some of the Cotswolds most beautiful and quiet villages. The route is two laps, and the most outbound point is based at the top of the only real hill on the course – Neils hill in Hannington Wick. 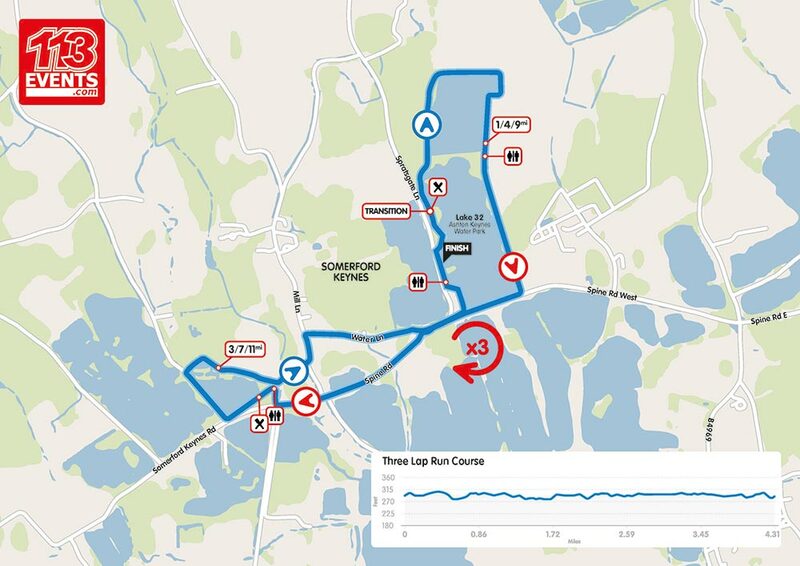 With the event being held in the water park, then the athletes will be treated to a mixture of tarmac and hard pack pathing for the 13mile run that takes in lake side paths as well as local village routes before finishing back close to the lakeside transition in the finishers area. 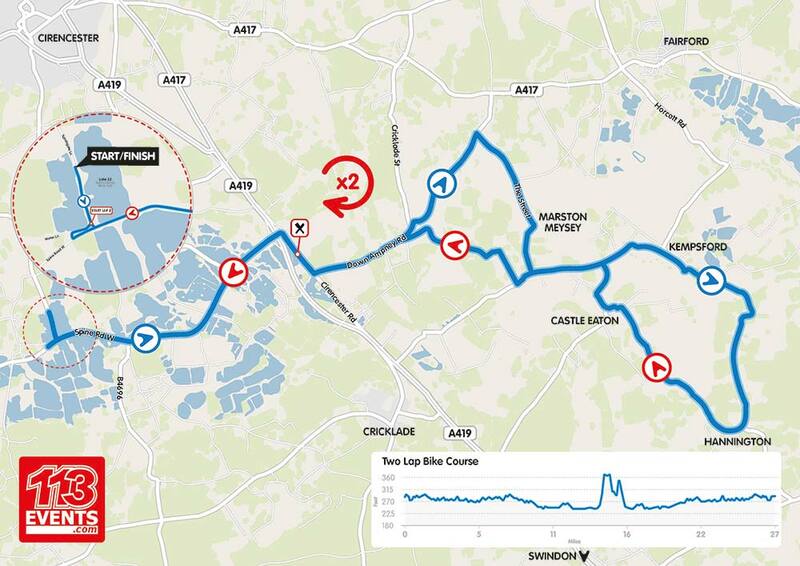 GPX files of the routes can be downloaded on this page.